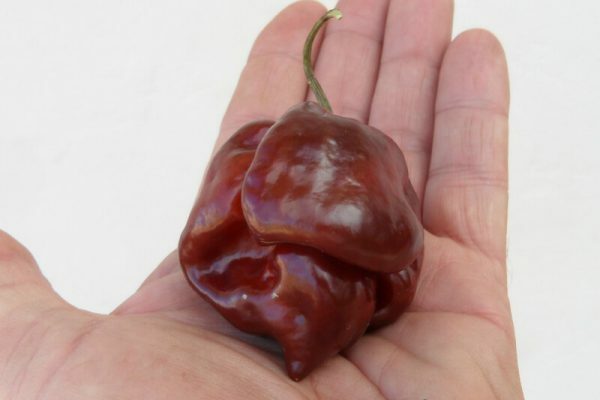 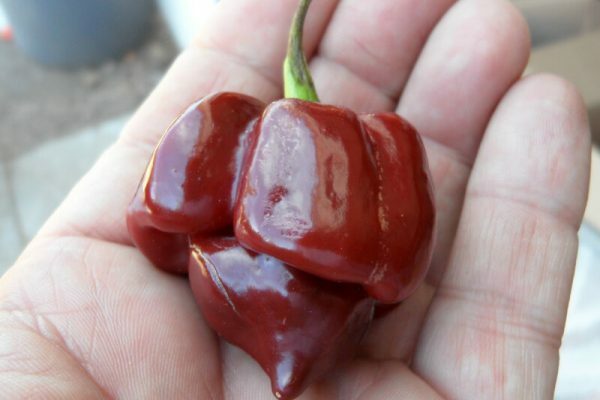 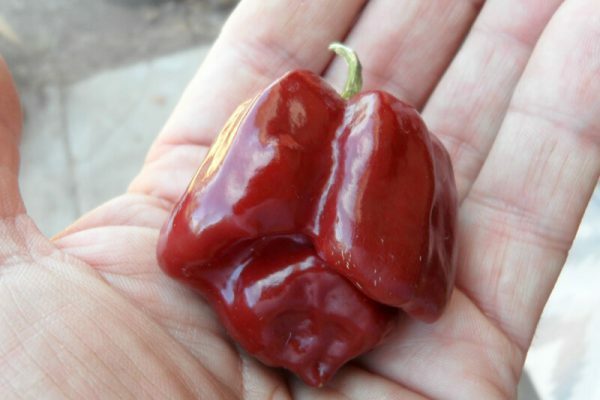 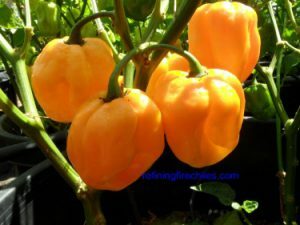 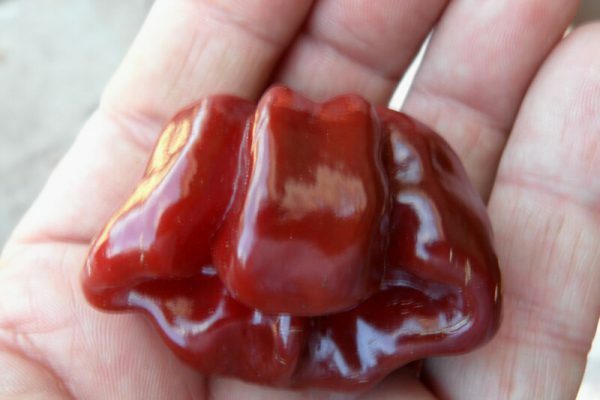 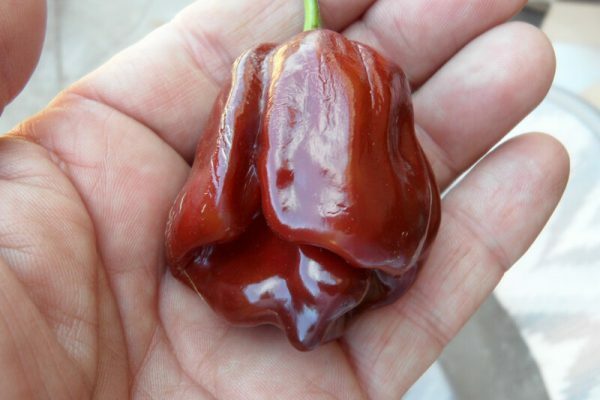 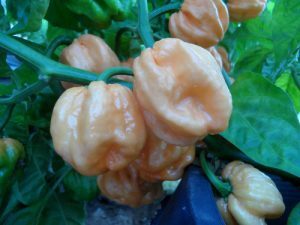 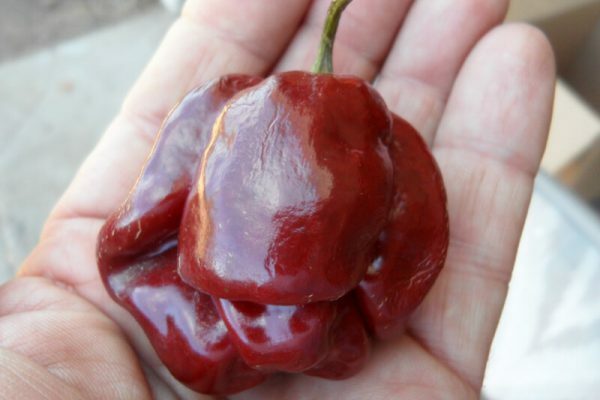 Chocolate Scotch Bonnet has a slight bonnet shape like it’s yellow relative. 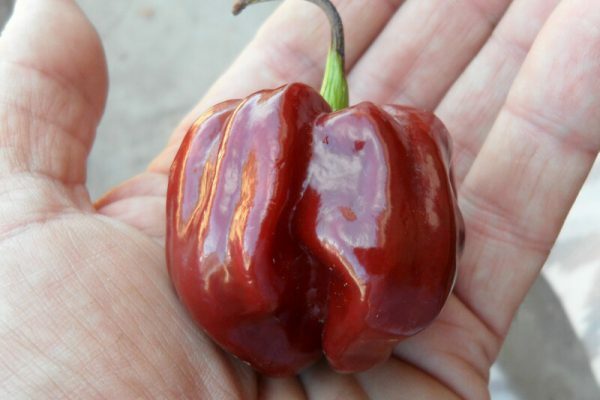 But it is much hotter and the peppers get much larger in size. 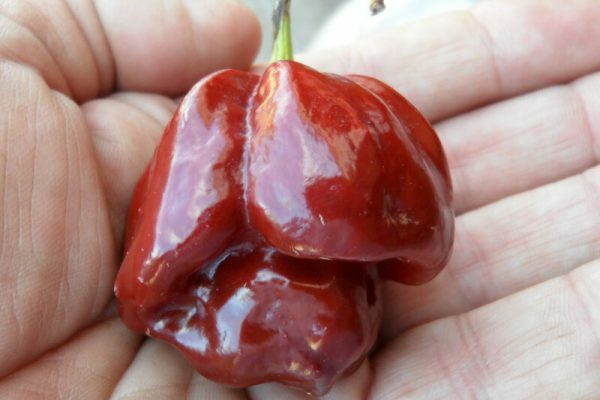 It has a fruity and slightly smoky flavor. 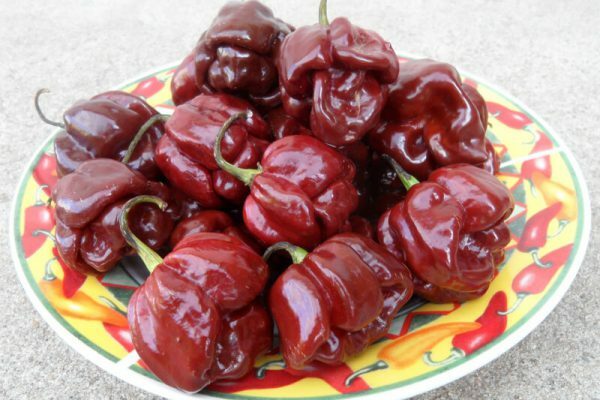 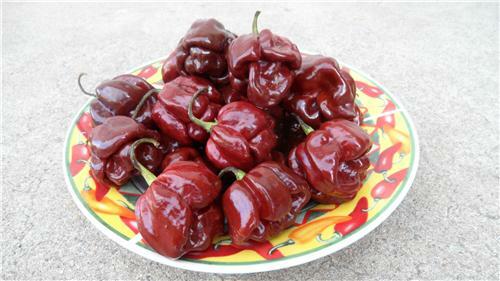 Peppers ripen from green to dark brown and can get almost 2 inches in diameter. 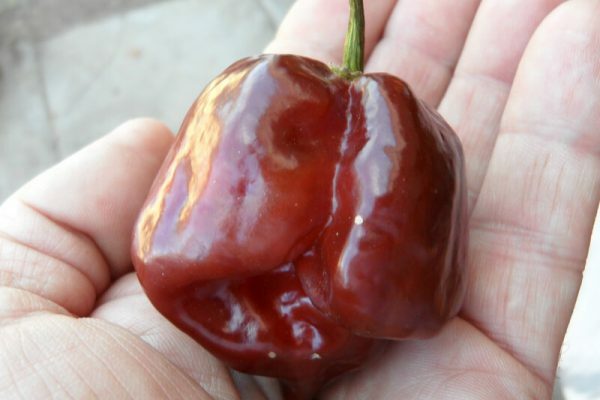 Like other chocolate habanero types it is extremely productive. 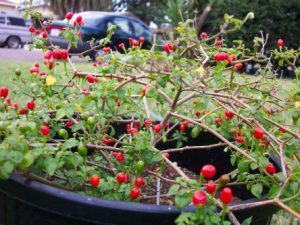 Plants can get over 4 feet tall. 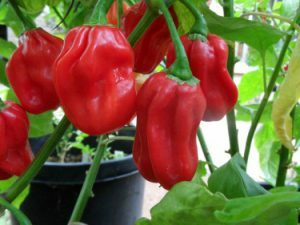 Great for sauces and salsa!